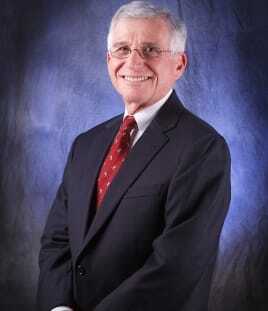 Steven M. Zelman, is Of Counsel to the firm. Steven M. Zelman, Connecticut Judge of Probate (Ret.) focuses on probate administration, estate planning, real estate and commercial litigation. Judge Zelman retired as a Judge of Probate in August, 2017 after serving more than 26 years. Judge Zelman served as Judge of Probate for the Town of Bloomfield for 20 years and the Tobacco Valley Probate District for over six years after the Probate Courts in Connecticut were consolidated. In addition, Judge Zelman was appointed as Administrative Judge for the Hartford Regional Children's Probate Court by the Connecticut Probate Administrator covering 28 towns in the Hartford area. He served in that capacity for five years while continuing his service to Tobacco Valley District. Judge Zelman has represented multi-national corporations in commercial litigation before state and federal courts. He knows how to handle probate administration and estate planning in ways that best serve his clients' needs and goals. Clients appreciate his empathy and his ability to bring successful outcomes at times of high emotional distress. Prompt efficient attention to family issues in a time of loss is Judge Zelman's paramount concern. The legal community, including judges and attorneys, frequently call on Steven to speak on a variety of probate issues, estate administration and commercial litigation.